Sometimes the most important work tool on a jobsite is a dependable hoist or winch. We are a Harrington master distributor and authorized warranty repair center. 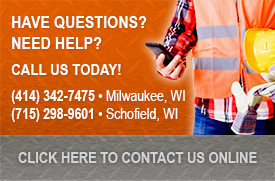 At Wisconsin Lifting Specialists we are also proud to offer the best in new units, repair parts, service and installation from all major manufacturers of hoists and winches. Contact us today to help keep your project up and running!